Whether you're looking for style, comfort, features or even sport, the 2015 Hyundai Elantra has you covered. Its expressive styling is complemented with an amazing array of available equipment, and the best warranty going. The sedan, coupe and GT hatchback lineup is the most complete out there, filling in blanks left by the Honda Civic, Toyota Corolla and Ford Focus. My Hyundai Elantra is the perfect car for a newly married woman. My car is reliable in getting me to one place to another. It is very roomy so that when I needed to move from my place in with my now husband, I was able to do that with little hassle. The gas mileage is great. I can fill up my car in just one swoop and it'll last me a good 2 weeks. The torque is great too. I am a lead foot so the engine gives me the power I need to get where I am going. I purchased the limited version so I get the push button start and heated seats and all that good stuff. By far this car has been the best I have ever owned. The exterior is slick and classy- fire red. The interior is easy to maintain- leather seats. The steering wheel is nice in the fact that the car has been equipped with different steering modes. I like to keep it in comfort mode. But I'll switch it occasionally to sport mode. It just makes a difference in handling. Overall really good car and great brand. 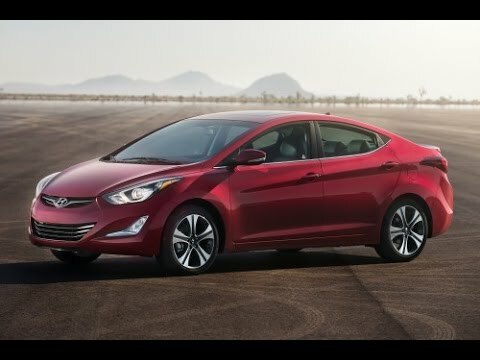 Hyundai Elantra: features of a 2015. The car runs very well, and I have run into zero issues so far. The heating and cooling works quickly, and the different intensity levels are very balanced. The car has Bluetooth calling and media capabilities, and both can be accessed via the steering wheel or dashboard. The screen in the car is a touch screen, but can also function with the buttons and knobs to the sides of it. The car is overall a very sturdy vehicle, and is perfect for anyone planning to add a significant amount of miles on it. The car can take quite a bit of driving, and when things do go wrong, the parts are typically very affordable. Young people would have an excellent time with this car, especially as a first car. With a back up camera, large mirrors, and numerous safety features, this car can get you where you need to go safely and comfortably. The Best Car for Me! For the price, luxury and features. The Hyundai Elantra GT is my first car. I bought it because it was the best deal for me. It looks like a small car but I have found that I can store a lot of stuff in it. Because it is a GT it's like a sports car and is fast. I love the comfort of it. It is all computerized and let's me know exactly what AMPG (average miles per miles) I am getting. You can choose 3 different styles for the steering wheel:normal, comfort and sport, which makes the drive that much easier. It has Bluetooth, so you can make and except phone calls from your steering wheel. You can also play the songs from your phone. I am learning still what the features are on in this car and I have had it for over a year now. I love it and I'm planning on keeping it for a very long time.